Pssst I updated the cover end of June 2017! "...Heshelow (Phytoceramides: Anti-Aging at Its Best, 2014, etc.) 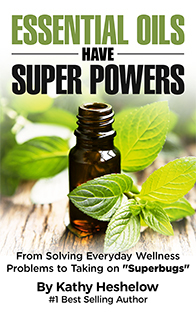 makes the case for aromatherapy and essential oils in this examination of a misunderstood branch of alternative medicine...The author is clearly a true believer in the power of essential oils, and by the book’s end, even skeptical readers may be tempted to give them a try."